I was pleasantly surprised this mid-March when the 2019 model was delivered for my week-long review and those eyebrows were lowered a bit. Or at least they seem to be. I didn’t measure them, though now with neither Sienna in my driveway, I wish I had. It’s a detail you won’t find in any product brochure. Thanks, Toyota, for listening to that suggestion. Now go back and notice the part of that review that suggested you offer a V-8 option. Your 4.6L V-8 truck engine would do nicely. So, did we like the 2019 Sienna? Of course we did. It still has the 3.5L V-6 delivering 296 hp, the optional entertainment packages (dual-view DVD screen for the kids, phenomenal sound for all), the generous storage spaces, and the cup and bottle holders all over the place. Crazy as it sounds, when you’re a dad who actually loves having the whole family of seven under one headliner, you dig the bottle holders. Slide past Aldi for a case of water and a bag of baby carrots, and you’re set. We did something like that on the Saturday of our seven-day Sienna experience. All aboard, we took I-75 up to what is now Georgia State Stadium in Downtown Atlanta, and then we cruised surface streets up to the Buckhead Barnes & Noble and back. Especially along the motorway, we were all about the DVD screen for the kids and the we-time happening on Row One. With their third-zone climate control and clear view of the flip-down screen from all five seats, we heard nary a peep out of them. That third row, by the way, is more comfortable seating than you’re going to find in some competitors’ middle. That’s super handy for us, because our three older children ride aft, while our toddlers take Row Two. It’s nice to think long trips will be more comfortable for them, too, even if they don’t offer to help with the monthly payments. I noticed on the Monroney* sticker that the 2019 Sienna earned an NHTSA** five-star safety rating, which in all considers frontal crash, side crash and rollover test results. That kind of peace of mind is a luxury feature in itself. Here’s another bit of safety info. During that afternoon road trip, I accidentally activated one of the side doors, which closed on a daughter, but after nothing more than a gentle bump it retreated. We shared a laugh, I apologized, and we moved on. Things like that make you appreciate a vehicle. My Chrysler’s automatic side doors are not so sensitive. Not surprisingly, the 2019 Sienna takes top honors from Consumer Reports, which stamps the XLE trim level with a 78. (The Kia Sedona EX was second with a 74.) Of particular note for the Sienna XLE was the bevy of standard safety features, which include Forward Collision Warning, Automatic Emergency Braking and Pedestrian Detection, all of which are also standard down at the less-expensive LE and SE trim levels. More peace of mind. CR also gave Sienna high reliability marks. And that brings me to a fave feature. In five years of writing vehicle reviews, I think Toyota excels them all when it comes to cruise control, and in particular I love the always-improving Dynamic Radar Cruise Control. This allows you set a max speed while also setting a variable car-length distance from the vehicle you are following in the lane. There may be a few times in curvy, multi-lane traffic where it gets confused with irrelevant vehicles ahead of you in other lanes, but let’s be honest here: cruise control isn’t really meant for the Downtown Atlanta Connector. Another fave of the Sienna copy we reviewed is the body color, though I’m not fond of the name of that color. I’d call it an almost-Army green, but some bi-lingual high-earner somewhere decided it should be called Alumina Jade Metallic. Sounds like an anime character. Probably, that’s the point. It’s a stunner, though, especially given that Toyota/Lexus in well into this present era of sculpting front-ends to look like Battlestar Galactica robots. It looks battle-ready, especially when accented by the mid and rear tinted windows. This is the third Sienna we’ve reviewed in five years, and I look forward to the next. As I’m more of a late-model, used car buyer, I have paid closer-than-normal attention to the 2018 and 2019 models, because we’ll be in the market again within a year or two. This 2019 model starts around $30K ($45K as tested), but you can find the 2016 under $20K. *Monroney stickers are named for 1950s-era U.S. Senator Mike Monroney, who was from Oklahoma and had his own lizard-looking eyebrows. **NHTSA is the National Highway Traffic Safety Administration. When my son and I arrived at this year's GAAMA Family Car Challenge, we laughed as we spotted the one truck, the all-new 2019 RAM 1500 Laramie Crew Cab 4x4, among the two dozen or so competitors. It's the first vehicle we tested that day, and my son said he was sure it would win. Being the only truck that showed up at all for the event, it was on course by default to snag the Best Family Pickup Truck trophy (What's up, other truck manufacturers? ), but it also won the overall prize: Best Family Car. All day long, manufacturer reps asked my young son what his favorite ride was so far. He stuck to his guns: "I think the RAM truck is going to win." We didn't stuff the ballot box, or in this case, the touchscreen voting app, but we did give the RAM 1500 pretty high marks. Always impressive is when a vehicle this big and powerful can rather nimbly negotiate urban roadways but then let rip down the highway on-ramp, taking whatever place you want in traffic. Equipped with the 5.7-liter HEMI V-8, this truck has a 395-hp engine delivering 410 lb-ft of torque, and it is rated to tow 12,750 pounds or haul 2,300 pounds in the bed, so while being a quick and quiet city-friendly vehicle, apparently it is ready to do business down the country, too, when needed. These one-day events don't afford much time to spend with each vehicle, but first impressions are that this is a very handy, capable and comfortable vehicle. Our copy was the Crew Cab, and the back seats flip and fold and get out of the way to offer loads of cargo space, plus the doors swing out to nearly 90 degrees. This is the vehicle you take to IKEA on a rainy day: if they can flat-pack it, you can get it in this truck. The copy we drove was a 5-seater, but they do offer a more practical and valuable (IMO) 6-seater. It was the price that concerned me at first. The Monroney sticker had this copy based at more than $64K and trimmed out just north of $75K. And then I realized that was a Canadian sticker price, and we all know how weak their Dollar is (gratuitous political jab). Here in the States, the RAM 1500 Laramie starts at a little more than $40K, with a just-as-powerful Tradesman edition starting around $32K. My son called it right from the outset, and I'm happy with the outcome. The RAM 1500 is a good truck. Car. Whatever you need it to be. Who were the other winners? Glad you asked. This year, because we were pressed for time, we skipped the Luxury category, but we did test the Mazda CX-5, the 2018 Volkswagen Atlas, the Chrysler Pacifica Limited, The 2019 KIA Sorento SXL, the 2019 Toyota Avalon XLE, the 2018 Nissan Armada Platinum, the 2018 Lexus RX 350 and the 2018 Volkswagen Passat GT. We'll tell you more about those rides in subsequent reviews. Danny Harrison is a veteran journalist who cut his teeth in the Atlanta-area newspaper business the year before the Olympics came to town. His career path has led him out of state and overseas, but he has returned to his southern Atlanta suburban roots where he now works as a government public relations specialist. 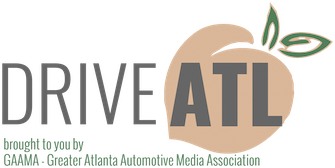 He writes car reviews and other automotive features as a member of the Greater Atlanta Automotive Media Association. Acura has put some edge into the 2018 version of the TLX. Bumper2Bumpertv checks out what some of those changes in the Sport Sedan are. First look-2018 Toyota Camry, new style and new guts!! The 2018 Toyota Camry breaks with the tradition of a staid family sedan. Bumper2Bumpertv has a first look at the lines and the drive train and what has changed.